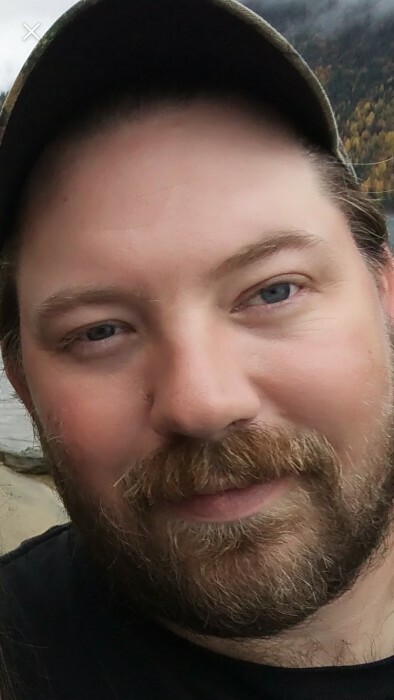 Obituary for Jason Jacob Knelsen | Providence Funeral Homes & Crematorium Inc. It is with a heavy heart that we announce the sudden passing of our son, brother, and father Jason Jacob Knelsen on August 15, 2018. Jason was born March 8, 1983 in Prince George, BC. He was predeceased by his father George Harvey Knelsen (April 4, 2006), brothers Dustin Dean Knelsen (December 21, 2015), and Darryl Harvey Knelsen (February 21, 2016). Jason spent his first years growing up in Fort St. James with his brothers Darryl, Dustin, and David and sister Stacey. He attended Sowchea Elementary. Growing up, he played hockey and rode quads. In 1997 the family moved to Radium Hot Springs where he attended David Thompson Secondary. These were formative years for him where he made lifelong friends. Jason started working in the bush doing high lead logging in Radium Hot Springs and he never wanted to leave! When the family moved to Kelowna, Jason began work at Russo Sawmill for several months, then got into the bush and started running a processor. He later found work with Balceans Consolidated Ltd. and was a dedicated hard-working employee to the time of his death. Jason was a loyal, hard-working, loving, and quiet man that would give you the shirt off his back! He was a devoted father that worked very hard to provide for those he loved. His world was his children. He leaves behind his children Tavis and Kyleigh, the mother of his children, Alanna Wertz, his mother Norma Arnold, one brother David Knelsen, sister Stacey Swarchuk and family (Tarrell, Luke, and Emerson), numerous aunts, uncles, and cousins, as well as extended family and friends. Jason’s Celebration of Life will take place at 11:00 a.m. on Friday, August 24, 2018 at Providence’s Summerland Chapel, 13205 Rosedale Ave., Summerland, BC.